Tony Dunin has practiced as an orthopaedic surgeon in Melbourne for more than twenty-five years. He specialises in reconstructive surgery of the hip and knee. He has considerable experience in hip and knee replacements and has been a pioneer in Australia in the development of the minimally invasive anterior approach for hip replacement surgery known as AMIS®. He has performed close to 1000 cases with this method of hip replacement. Tony first learned this technique when working in Paris as an international fellow with Professor Emile Letournel, a pioneer in hip and pelvic surgery. Tony is regularly involved in teaching the AMIS method of hip joint replacement to other orthopaedic surgeons both nationally and internationally. Tony has had several leadership roles within the orthopaedic community. 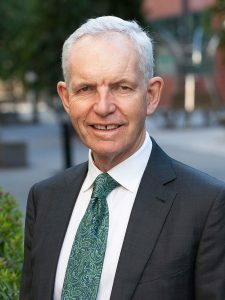 He served for seven years on the federal executive of the Australian Orthopaedic Association (AOA), and has been chairman of the AOA Victorian Branch. Tony Dunin has held a consultant position in the Orthopaedic Department of St Vincent’s Public Hospital since 1986. He is involved in teaching both medical students and trainee orthopaedic surgeons. He is currently engaged in clinical research projects into joint replacement outcomes. 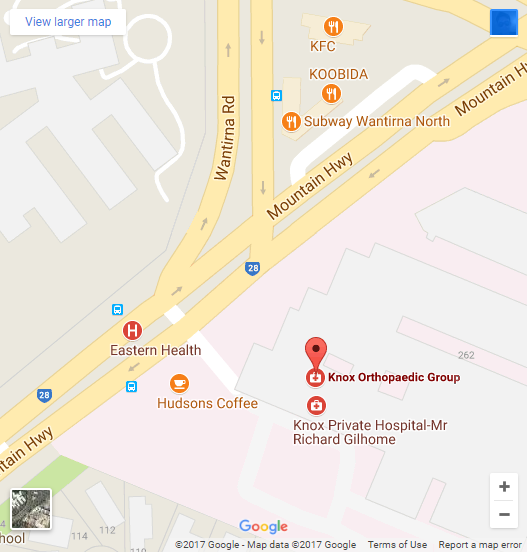 Tony’s private practice is located solely at Knox Orthopaedic Group, which is situated within the grounds of Knox Private Hospital in Wantirna. Tony is the principle supervisor of an AOA approved clinical fellowship in anterior hip replacement and lower limb reconstructive surgery teaching surgeons from Australia, New Zealand and overseas. Tony’s other interest is in Mindfulness Meditation. He is a qualified Mindfulness Based Stress Reduction (MBSR) teacher and has taught the MBSR program to staff and patients at St. Vincent’s Public Hospital. He is now offering this course at The Melbourne Centre for Mindfulness in East Melbourne. In addition, he conducts a meditation course specifically for doctors called” Mindfulness in Medicine”. Details regarding the courses can be found on the Melbourne Centre for Mindfulness website.